Gite 40 m2 independent, calm assured, animals accepted. cottage located about 25 meters from my house. Approval prefectural 2 stars. 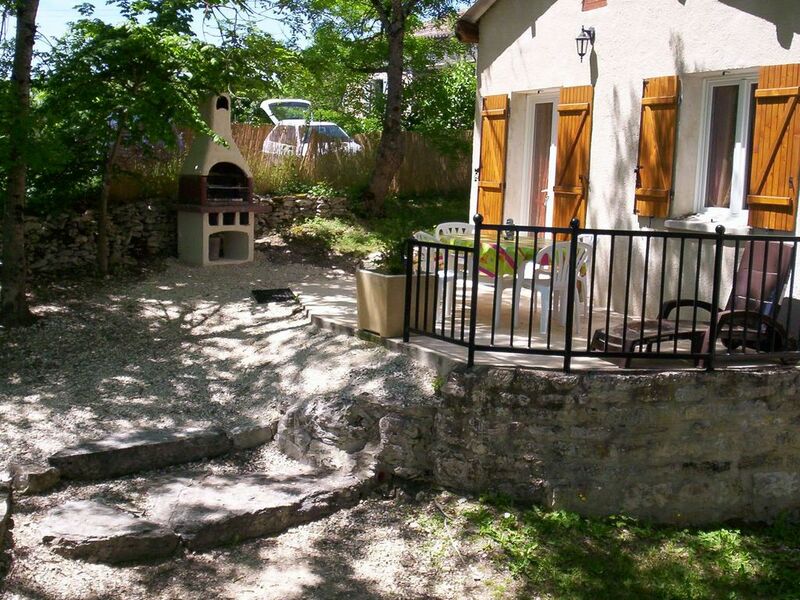 Bread oven completely renovated in the country style. 5000m2 of wooded terrain. Countryside. Very quiet. Sunny. unobstructed view of the countryside of white Quercy .. Superb hikes on the gr gr paths of Santiago de Compostela Near all shops, in the village of Lalbenque. to ZERO FIVE SIXTY FIVE THIRTY AND ONE SEVENTY NINETY FIVE FIVE OR ZERO SIX THIRTY SEVEN SIXTY FOUR SIXTY THREE FORTY-FOUR. Thank you. Cordially. Sheets, towels and towels not provided. lake 25km riviere15km indoor swimming pool 4km Center: 4 km aerodrome 7 kms skydiving courses, karting track for adults and open to children from 3 years. .